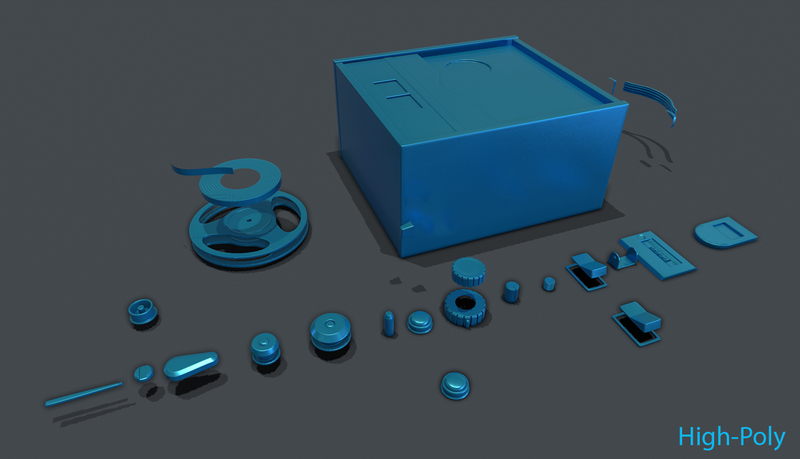 Fantastic Render of Reel-to-Reel Vintage Tape Machine | #VR #gaming #vintage #3Dmodel « Adafruit Industries – Makers, hackers, artists, designers and engineers! 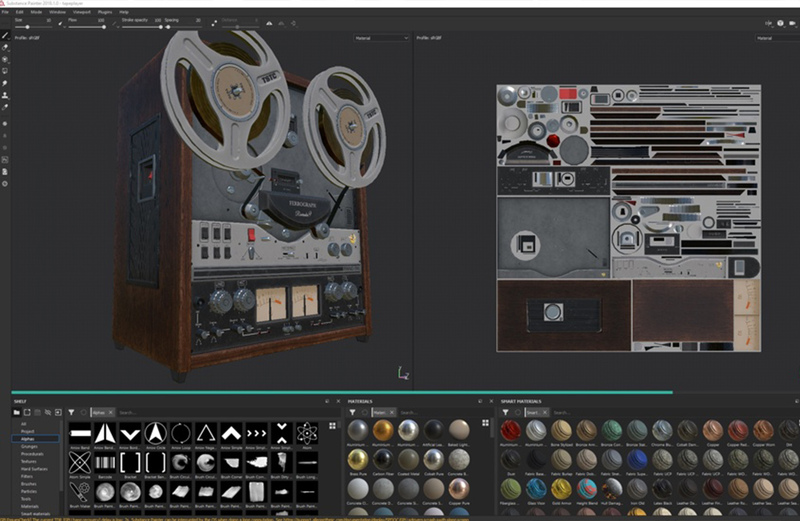 Sketchfab profiled Latvian 3D game artist Edgars Soiko and his recent design of a vintage tape machine (embedded below) for an upcoming VR game. I think it looks so great because of the patience he took in meticulously crafting each of the individual ‘components’ that make up the whole model. The Model was done for an upcoming game – Private Eye, a Psychological VR puzzle game, set in the 1950’s. I’ve been working on this game for quite some time and I really enjoy making models that are from this time period, mainly because the shape language is so clean and materials used are much more genuine than modern day counterparts. Mainly metal, wood and leather, no cheap flimsy plastic here – all of the everyday objects have so much more personality to them. Tape Machine was a part of an environment level that I am making for the game: Detective Office. The Model is going to be an interactable in the game. The player would find tape-reels around the level and play them in the machine, as a part of puzzle-storytelling. The reference for this model was the Ferrograph Logic 7 – reel to reel tape recorder. Starting out with the model was a bit scary as there are a lot of mechanical parts and I had little clue how this thing actually worked. After investigating the references I decided that the best and the fastest way to approach a model like this would be to split it up into parts and model them separately, assembling the complete model very late in the low-poly stage. I looked at the reference and numbered the parts, to not lose track of what needed to be made.